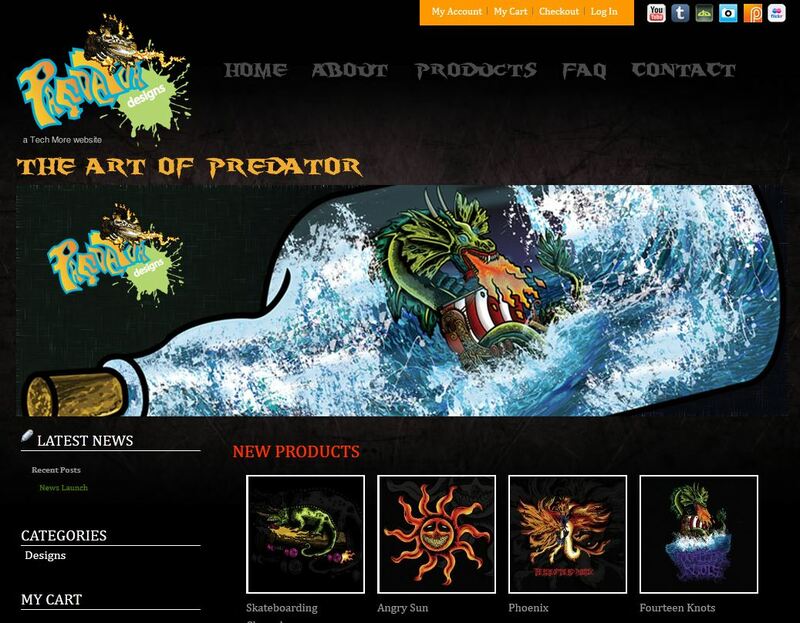 This e-commerce site is a product of our collaboration with the owner of Predator Designs. 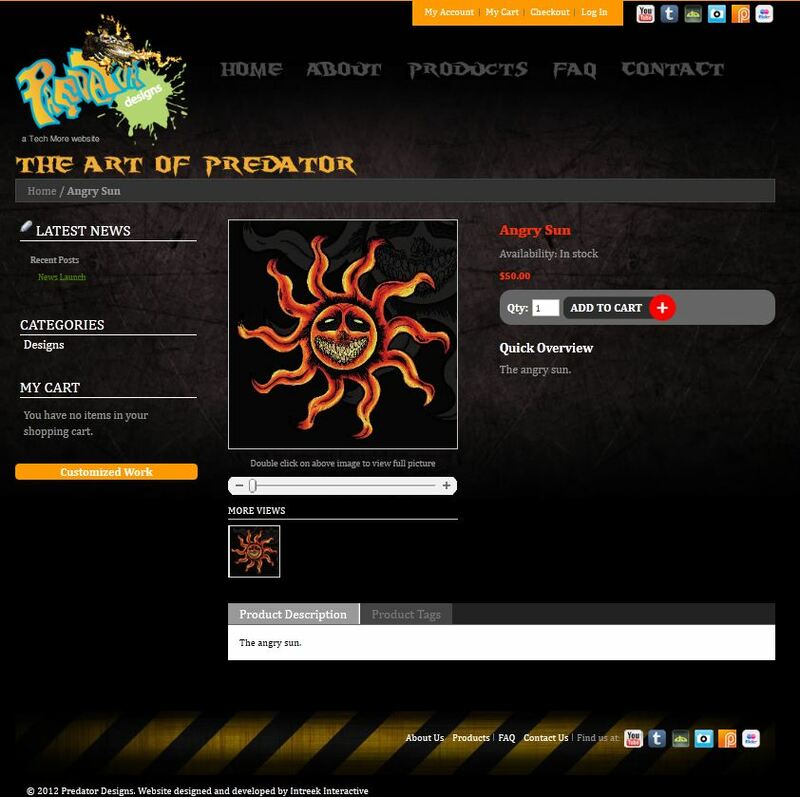 We designed the look and feel of the website around his artwork, and subsequently developed it using the Magento e-commerce platform. 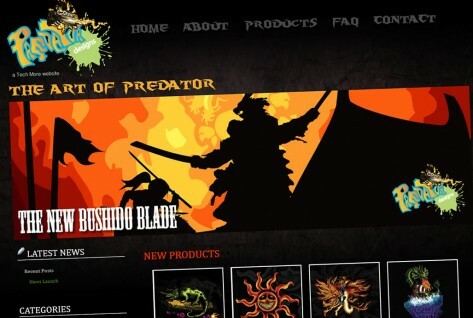 For this project, we also developed a customized scrolling banner plugin for Magento. And for the finishing touch, we produced a short Flash animated clip as the landing page to the website.